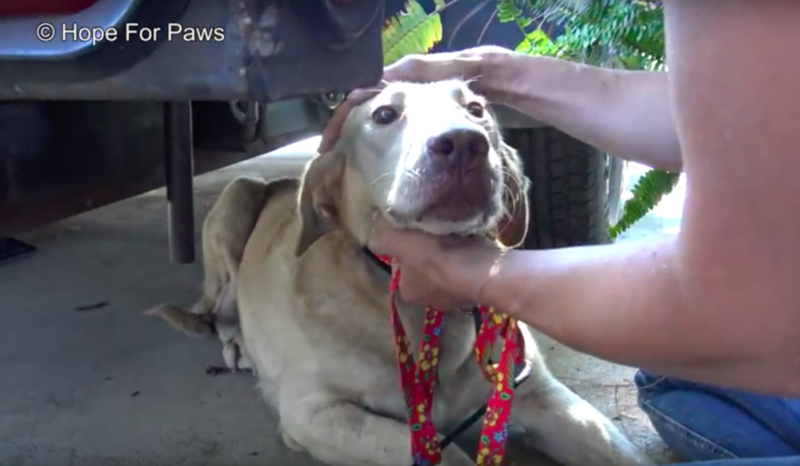 Good Samaritans saw an abandoned dog living on the streets who was in need of help. They tried to capture her for days, but to no avail. 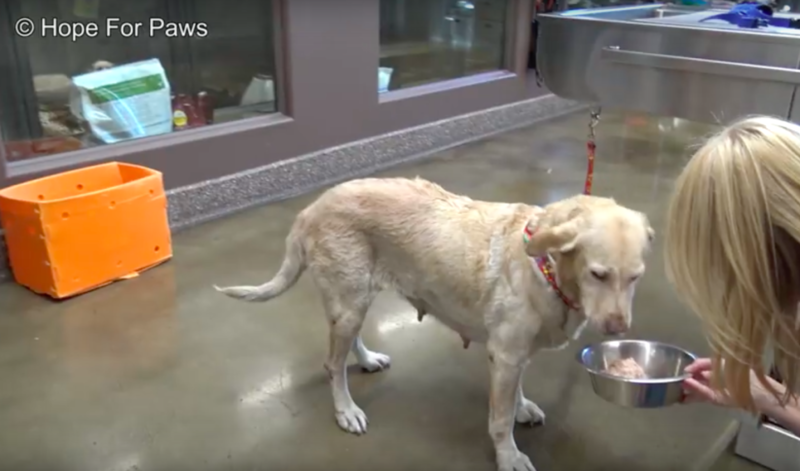 They didn’t want to leave her outside, so they contact Hope For Paws for assistance. Hope For Paws volunteers quickly arrived at the scene to look for the dog. 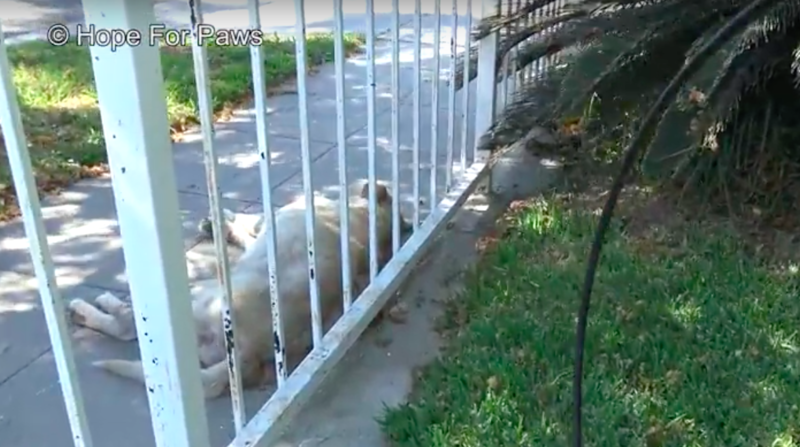 As soon as they got there, they saw the poor homeless dog sleeping on the sidewalk. They quietly snuck up on her and tried to get the snare around her without her waking up, but the bars of the gate were in the way. She woke up spooked and wound up running away. They followed her down the street, keeping their distance. The dog ran into someone’s yard to hide. Volunteers asked the owner of the property if it was OK for them to enter the property to try and get the dog and they agreed. 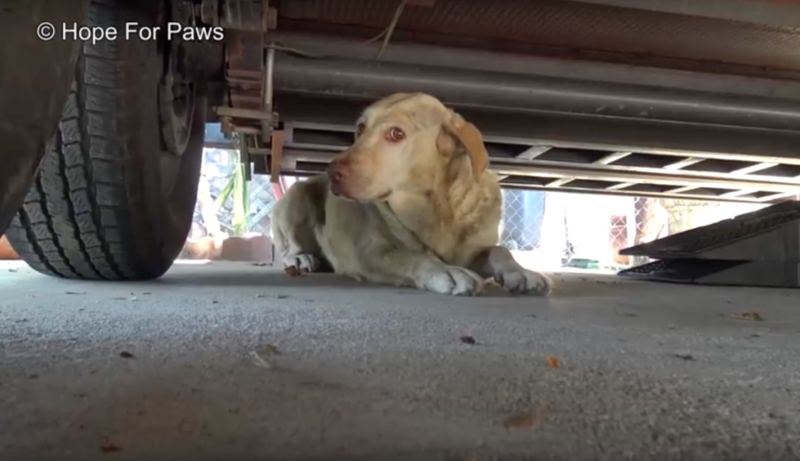 The pup was hiding under a car, alone and scared. Volunteers were waiting for the perfect moment to capture her. They took their snare and gently petted her with it until they were finally able to slip it around her neck. They then slipped the leash around her and pet her to let her know that they were there to help her. They pulled her out from under the car and she was very cooperative. She turned out to be a very sweet dog. Sadly, she wasn’t in the best shape. It was obvious by her physical condition that she had been used time and time again for breeding. They carried her into their car and brought her to the hospital. 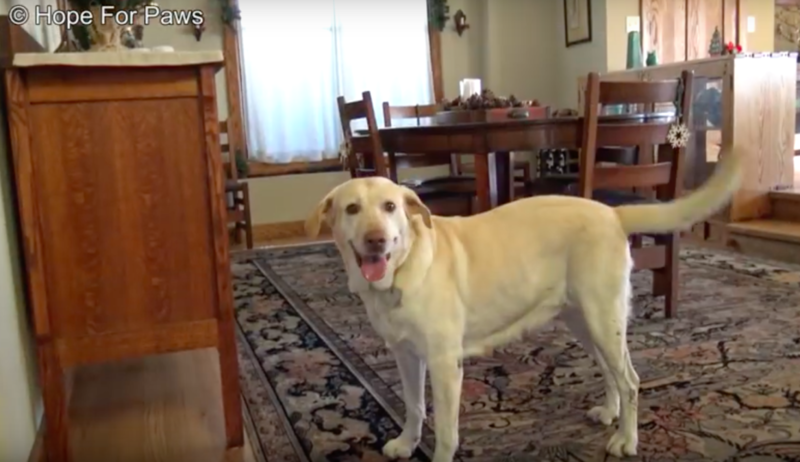 They decided to name this sweet girl “Perla.” Once they got to the hospital, Perla finally wagged her tail for the first time. She was examined, bathed and fed. 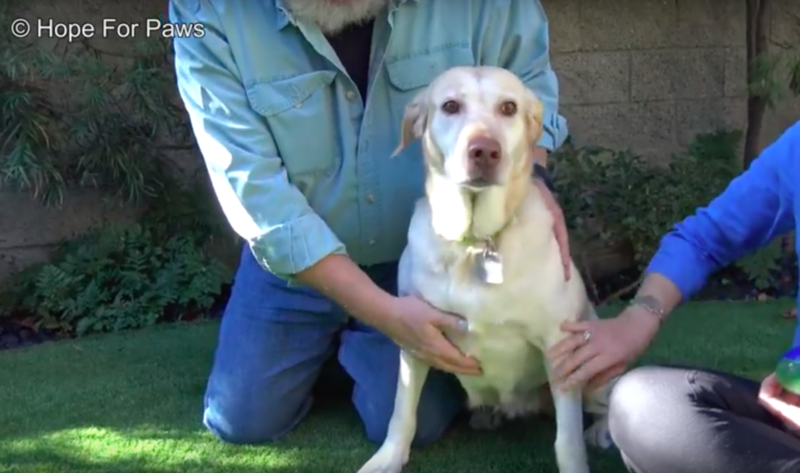 A few weeks later, thanks to Southern California Labrador Retriever Rescue, Perla found a loving forever home! She loves her new humans and her new backyard that she gets to run around and play in. Most importantly, she has a warm bed to sleep in and no longer has to worry about fending for herself out on the cold streets!